You’ll want to check out all of these 12 Amazing Recipes with Ro*Tel Tomatoes! 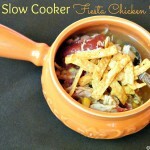 Something for everyone, soups, stews, and slow cooker dishes full of flavor. We’re huge fans of RO*TEL at Who Needs A Cape? and so are many of our fellow bloggers. 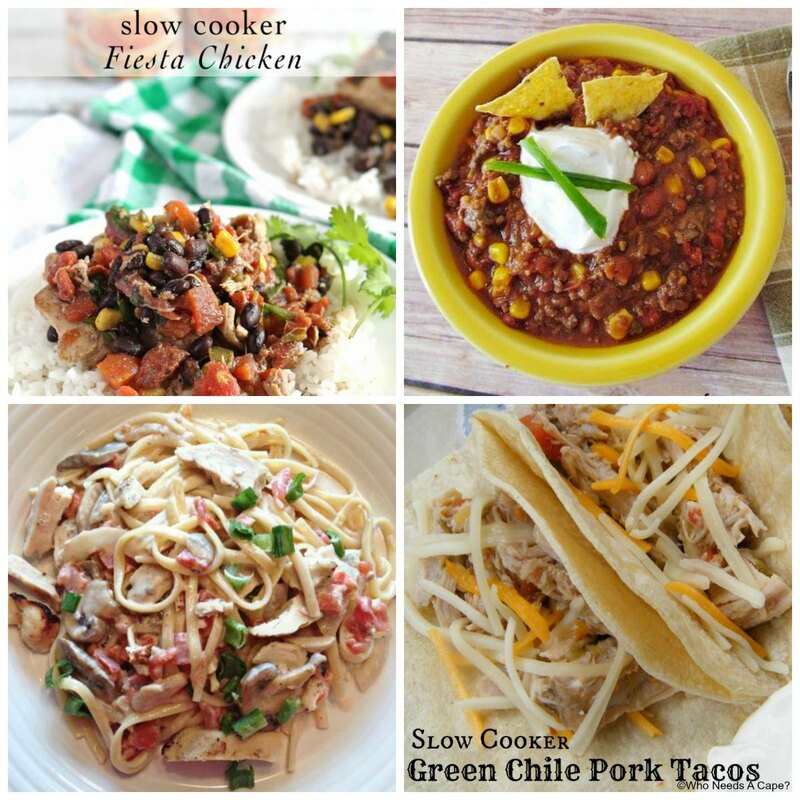 We’ve showcased some of our favorite RO*TEL recipes in a round-up below. 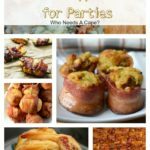 Be sure to click the links to visit each recipe individually. 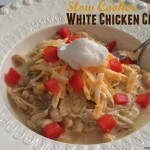 Everything from soups, stews, and slow cooker dishes all using RO*TEL tomatoes! 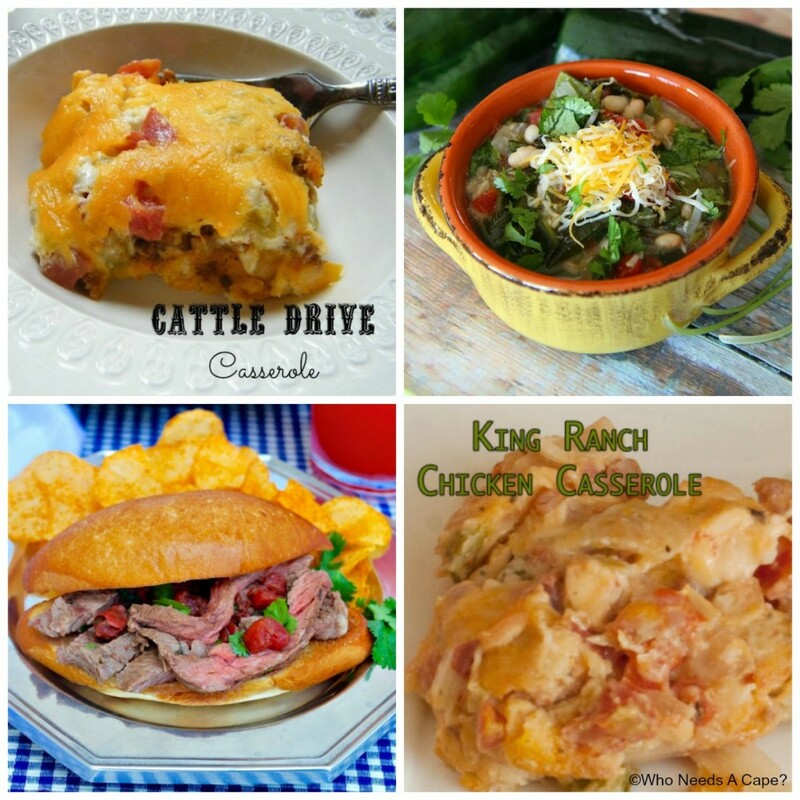 Cattle Drive Casserole – Who Needs A Cape? King Ranch Chicken Casserole – Who Needs A Cape? 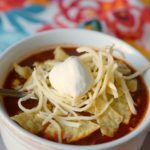 Fiesta Beef Soup – Who Needs A Cape? Slow Cooker Green Chile Pork Tacos – Who Needs A Cape? 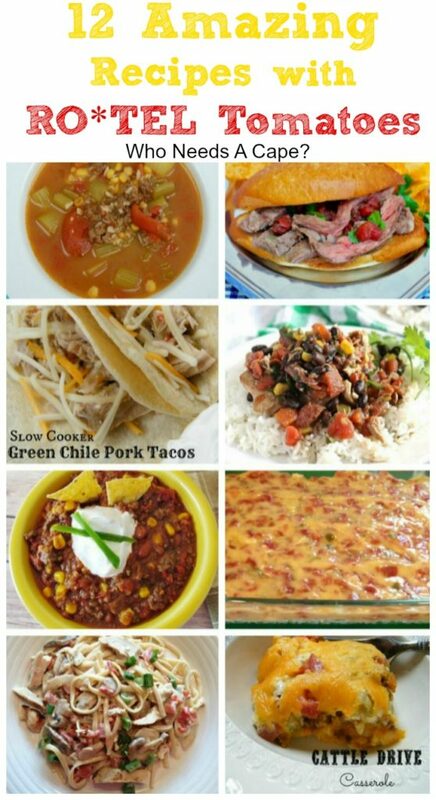 Thanks for including my Spicy Pork Green Chile Stew in your collection! It’s a family favorite! We love RO*TEL tomatoes…they are a staple in our house! 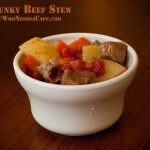 Our pleasure Michelle, the stew looks amazing! 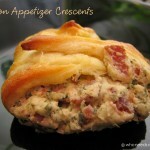 Thanks for including my recipe in this great roundup! So many yummy ones here! You’re welcome Foody Schmoody! RO*TEL is the best, thanks for stopping by! 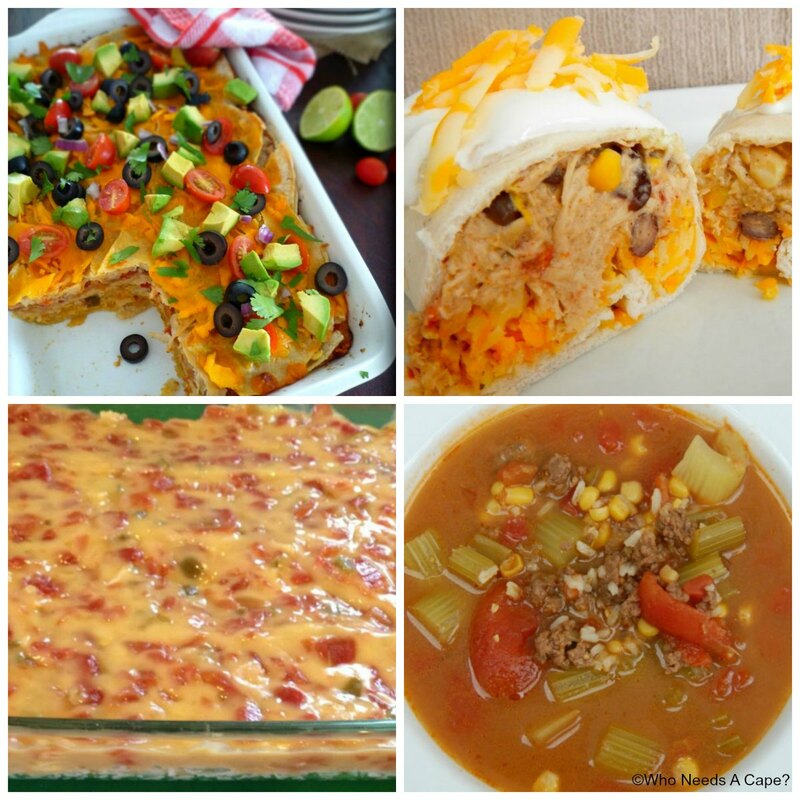 So many delicious recipes using one of my favorite brands, ROTEL. I’ll be referencing this post often! Pinned too! One of our favorites too, thanks for stopping by! Thank you so much for sharing my Deconstructed Burrito Casserole, it just wouldn’t be the same without Ro*tel Tomatoes! Beautiful collection of Ro*tel recipes! !